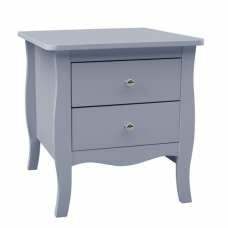 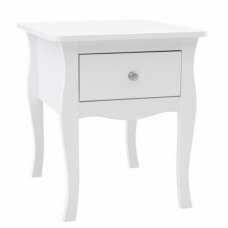 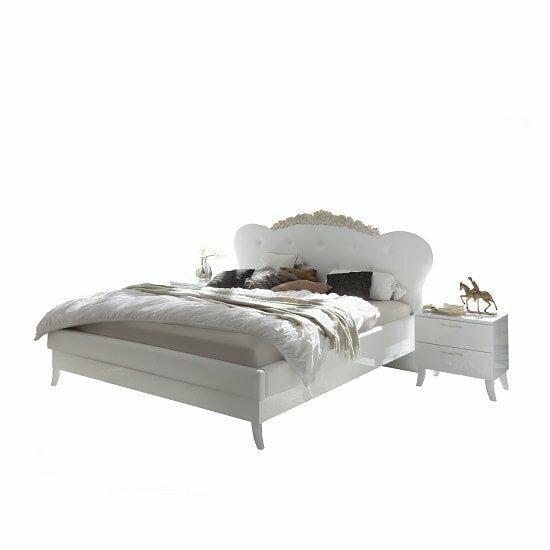 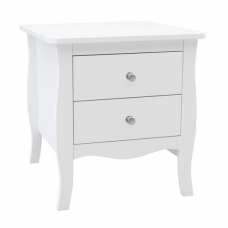 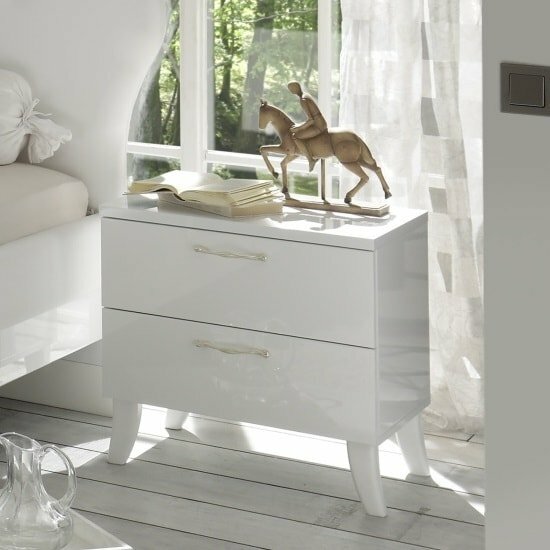 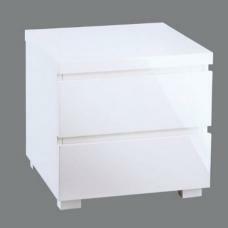 Lagos Bedside Cabinet In High Gloss White With 2 Drawers, is a strong, high quality bedside cabinet gives a classic tone to your home decor. 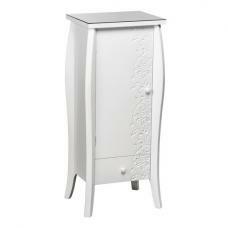 Made of MDF wood finished in White High Gloss. 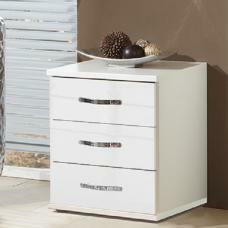 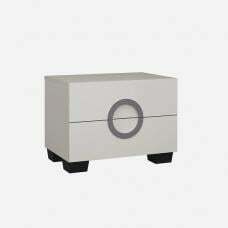 It features 2 Drawers with soft closing mechanism, which open up to reveal inside storage space. 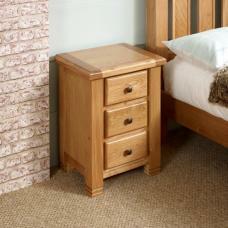 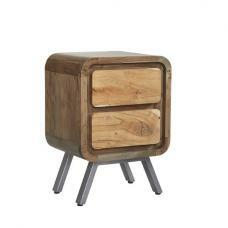 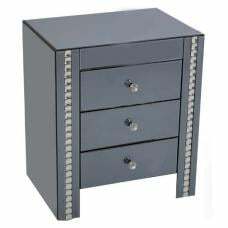 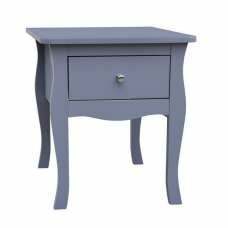 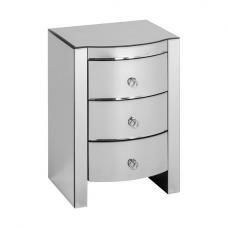 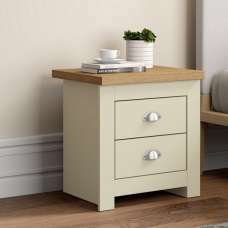 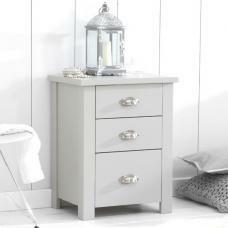 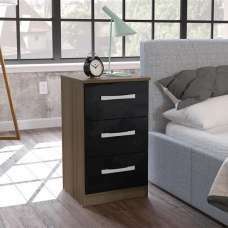 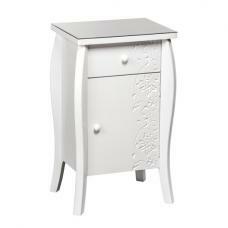 This Versatile bedside cabinet is ideal for storing belongings and accessories inside. 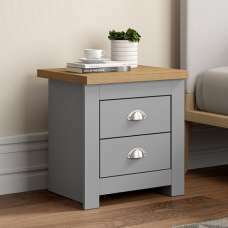 It is perfect for placing beside your bed and top surface is perfect for placing lamp, mobile phone or alarm clock radio etc.